Home Comics Temporary Superheroine–Almost Here! My superheroine’s mission is to save the universe, and she’s up against a powerful opponent. Plus she’s young, she’s untried, and she’s been volunteered. It’s complicated. It’s crazy comic book fun. It’s soon to be available as an ebook and in trade paper. 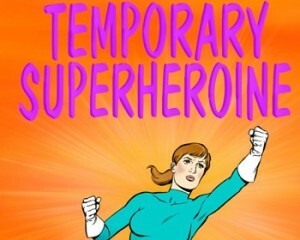 Temporary Superheroine is On Sale Now!